Widely unnoticed by the meteoritic community on October 16, 2006 at 04:00 hrs a meteorite fell at the village of Bassikounou in southeast Mauretania. Despite the fact that the event caused the inhabitants of the huge but sparsely populated region to expect the end of the world, only few details of the event were published in the local Mauritanian media. But not even these made it outside the country and into the planetary network of communication. 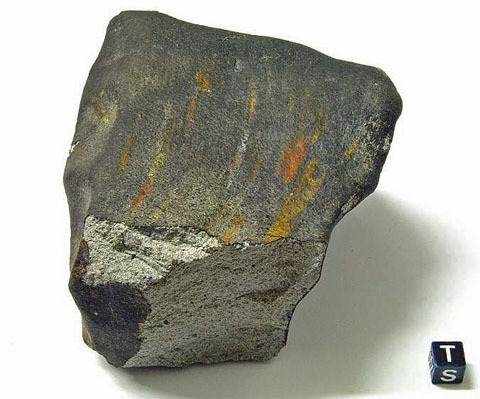 The rock from space that had arrived with fire and thunder – disappeared shortly after in the dusty and isolated wastelands of the Sahara desert. Until spring 2007 it remained a witnessed but “unknown” fall. Due to the extreme remoteness of the fall area it took months until meteorite fragments collected by locals since the morning after the fall found their way to people who could value their importance. 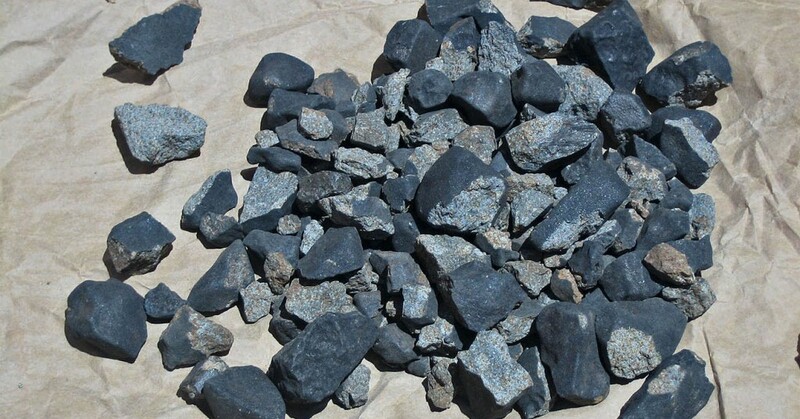 Obtaining information on these stones, their find circumstances and the observations previous to their recovery proved to be a Herculaneum task. There isn’t any other direct means of communication to the fall site than by Thuraya satellite phone. Detailed Maps of the fall site are almost impossible to obtain. The average level of education in the extremely poor area is extremely low. If an eye witness was finally identified and contacted, his or her means of giving usable descriptions of what had happened were limited. There are no cameras in the area that could have recorded the trajectory of the bolide. Because the fall occurred in the early morning during a cold night most witnesses were alarmed not until detonations rumbled the area. At this time the fireball had already ceased. Due to this fact only a limited number of observations exist on the fireball itself. With the assist of a local Mauritanian journalist, local authorities and field scientists familiar with the area, the authors attempt to draw a picture of the meteorite fall, its background, reception and scientific analysis. Despite the fact, that the picture is still incomplete, the authors are nevertheless convinced that this account should see the light of public. We hope that it can function as an exemplary case to aid the understanding and recovery of future meteorite falls in isolated areas. The first information on a new meteorite fall in Mauritania came in the shape of a 3.165kg chunk of rock brought to Europe by a young Mauritanian college student. M. Ould Mounir was travelling back to Germany after spending his semester break in his home country. In November 2006 and via electronic mail he offered the stone and spread the news of the fall to a number of museums and mineral dealers and collectors. Finally German meteorite enthusiast Hanno Strufe recognized the importance of the offer and decided to initiate the classification procedure. The meteorite was documented in photo, cut and a sample was sent to Dr. Beda Hofmann of the University of Bern in Switzerland, to determine whether the particularly fresh appearing meteorite represented a recent fall. The analysis of cosmogenic radionuclides indeed confirmed a very recent event. Both the seller of the material and his cousin, the finder of this first Bassikounou stone, Mr. Ould Mounir, claimed that only a single mass was found after a fireball was seen to land 11 km Southeast of Bassikounou. Neither Hanno Strufe nor Dr. B. Hofmann from the University of Bern had any reason to doubt this information. The first draft of the submission text for the new meteorite to the NomCom was based on this state of knowledge. 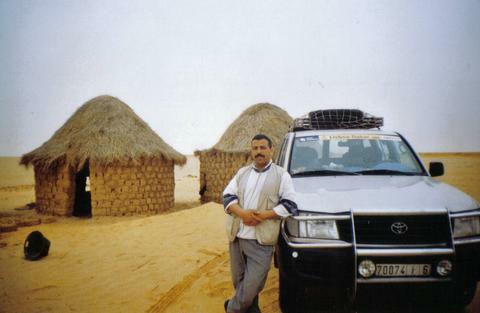 By February 2007, Nouakchott based entrepreneur and tourist guide Mohamed Zeroual learned about the Bassikounou event and decided to visit the fall site. After reaching Bassikounou on the third day of his 900 mile journey Zeroual soon met several eye witnesses of the fall and was led to parts of the strewn field. He spent the following ten days in the area and managed to collect altogether 21 individuals and fragments of the meteorite including the 6,120 g main mass. It took another full month until the knowledge of this new batch collected at the strewn field reached Europe. After forwarding the news to Dr. Hofmann in order to change the datasheet going with the classification results the authors decided to investigate further. About 1000 kilometres east by southeast of the capital Nouakchott in the far south-eastern corner of Mauretania lies the city of Bassikounou. Roughly 2000 inhabitants populate the village which is a major junction in the traffic across the near border to Mali, especially to the city of Timbuktu. 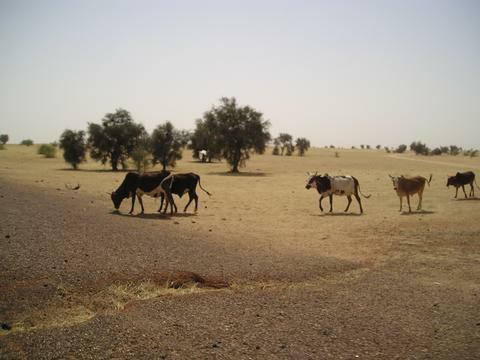 Bassikounou, or “Bassiknou” is inhabited mainly by Fulbe, Soninké, Wolof and a small number of Bambara and Touareg. The ancient caravan route from the Atlantic coast via Nema to Timbouctou passes through the city west to east. Another ancient Caravan trail connecting Timbouctou with the Saharan trade places Ghadames and Ghat goes via Bassikounou to Oualata in the north. Coming from the south is the piste from Nampala in Mali via Koussana. Bassikounou has no airport and is only connected by dust roads to the rest of the Mauritanian infrastructure. The area is considered unsafe for western travellers. 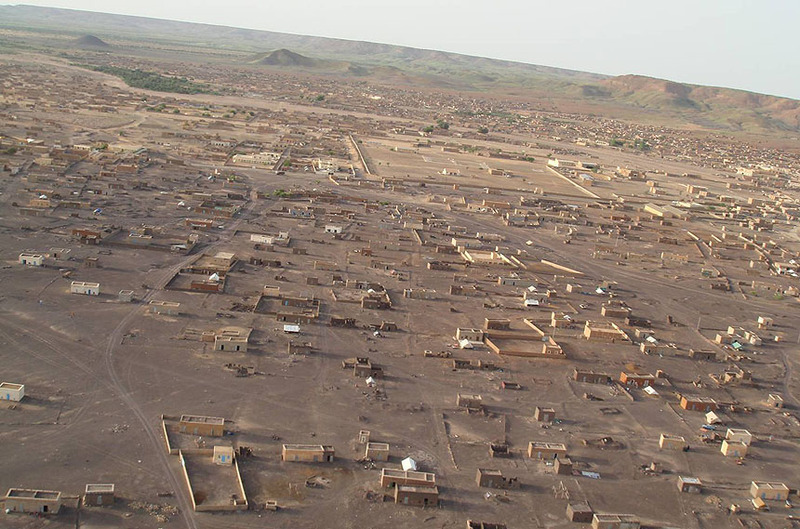 Bassikounou is situated in a broad south-west north-east oriented depression at the southern edge of the Erg Al Tarha. The latter resembles the south-eastern tip of a dry and mainly rock and sand covered chain of desert plateaus (Dhar) bordered by cliffs towards the south east. The Erg gently ascends over Dendara and Quatala to the Dhar of Nema in the north- west. North and north-eastwards of Bassikounou the terrain is mainly Erg and Hamada over 1000 kilometres before the mountainous Adrar region begins in the borderland to Algeria. 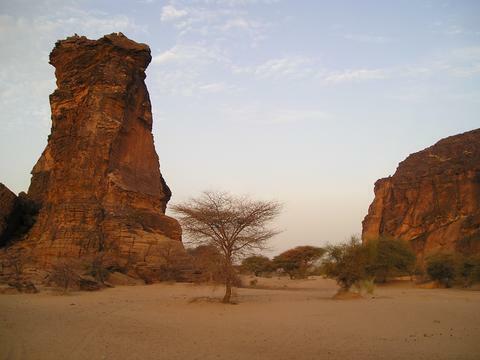 About 15 km east of the city, the Bassikounou depression is divided in two arms by the Oulimjam mesa-butte of continental sandstone that stretches in north-easterly direction across the border to Mali. The terrain opening in the south towards Mali is a savannah like bush land with little annual winter rainfalls. The Erg surfaces beginning 10 km north of Bassikounou are mostly composed of fractured shales of Mesozoic continental sandstone and Palaeozoic dolerite. Sparse vegetation in the Bassikounou depression and the advantageous topographic situation protecting against wind erosion allowed a soil accumulation. Two main types of soil are abundant in the area. A mineral rich laterite soil composed of fine and coarser grained weathering products of the continental sandstone, quartzite and dolerite. And second, a fine grained chalky soil alternating with clay horizons. In some areas within the strewn field, particularly in the south the weathered red sandstone appears as surface bedrock.